Indego, Philadelphia's bike share program, has officially reached 1 million rides, just a week and a half after it called on bikers to help it meet its goal. The city kicked off its "Philly to a Milli" campaign Nov. 1, where each rider was added to a raffle. The winner will have an Indego station named after them for six months, the city said in a news release. The more a biker rides, the better the chances. While the goal was expected to be met on Nov. 15, the bike share program announced that the millionth ride happened shortly before 8 p.m. on Nov. 10. The week-long SEPTA strike, which halted the city's trolleys, buses and subway system and started the same day as the campaign, might have given Indego the boost it needed to reach the goal so quickly. The bike share averaged 3,600 daily trips during the strike with a peak of 4,300 trips on Nov. 4. 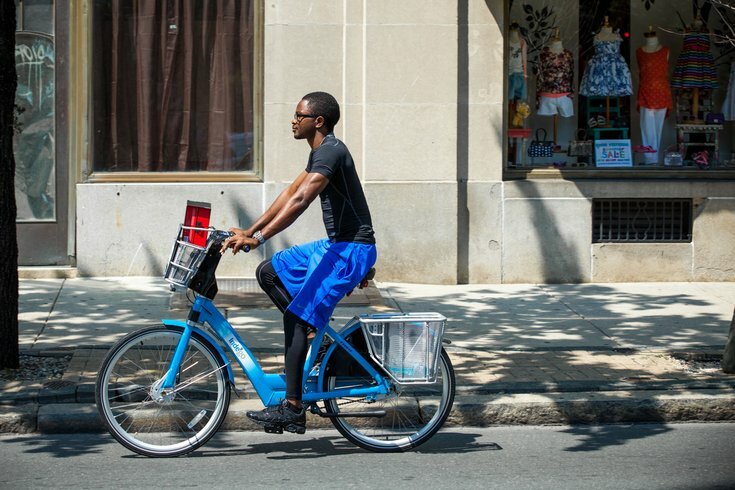 Indego, owned by the city of Philadelphia and sponsored by Independence Blue Cross, started with more than 500 bikes at more than 60 stations but has since expanded to more than 1,000 bikes at about 100 stations.